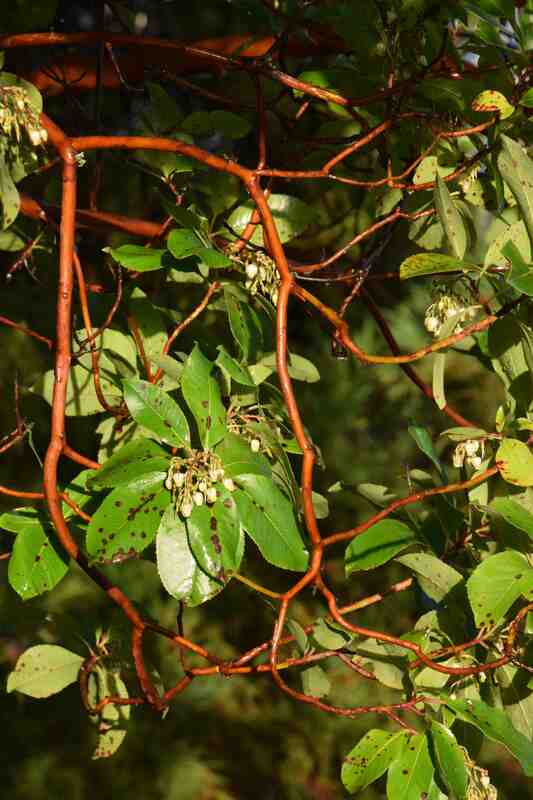 Ireland is the perfect place to mention the strawberry tree, Arbutus unedo, because this lovely, evergreen tree with small, white, heather-like flowers and dense, stringy cinnamon bark is native to the Atlantic coast of Portugal, Spain and, surprisingly Ireland. Good though this tree is, I was struck, the other week, by the beauty of the related Arbutus x andrachnoides, a hybrid between the native plant and the more tender, Greek, Arbutus andrachne. 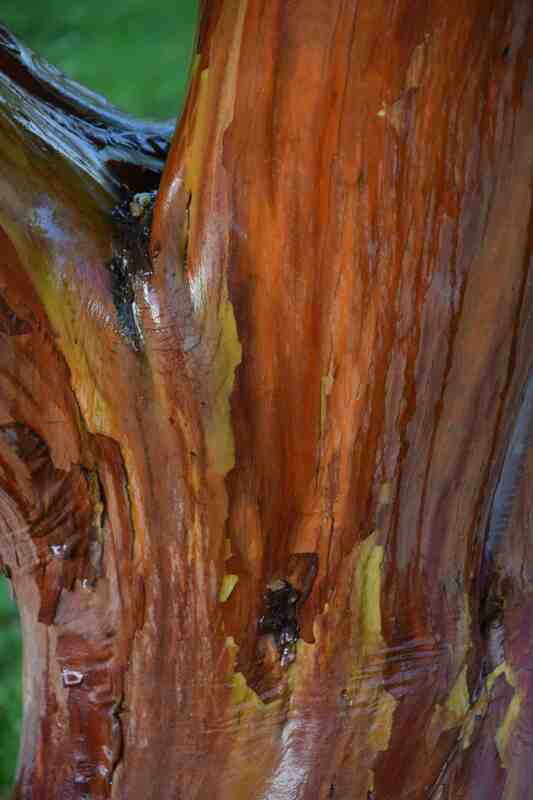 The hybrid is larger than the native tree and has inherited the peeling, beautiful bark of the Greek tree. 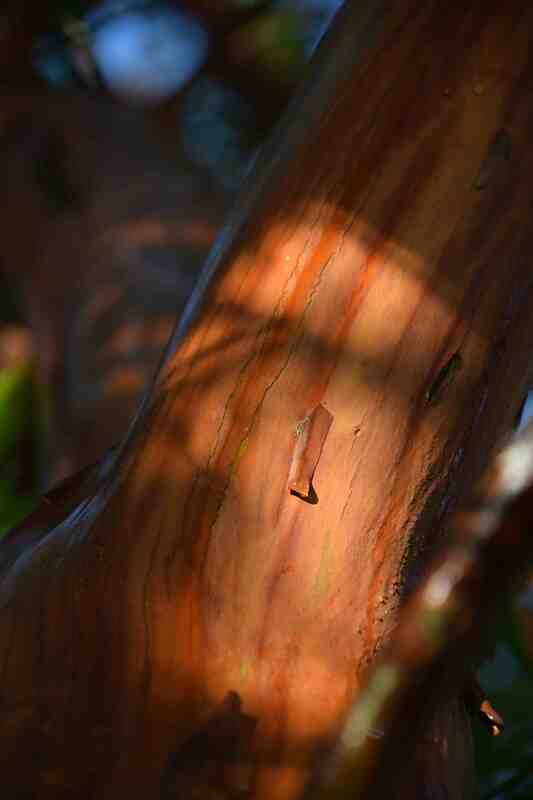 It is especially beautiful in winter when the low sun can shine on the bark below the canopy of leaves. The flowers are small and white and, though useful for opening so late in the year, are almost a distraction. 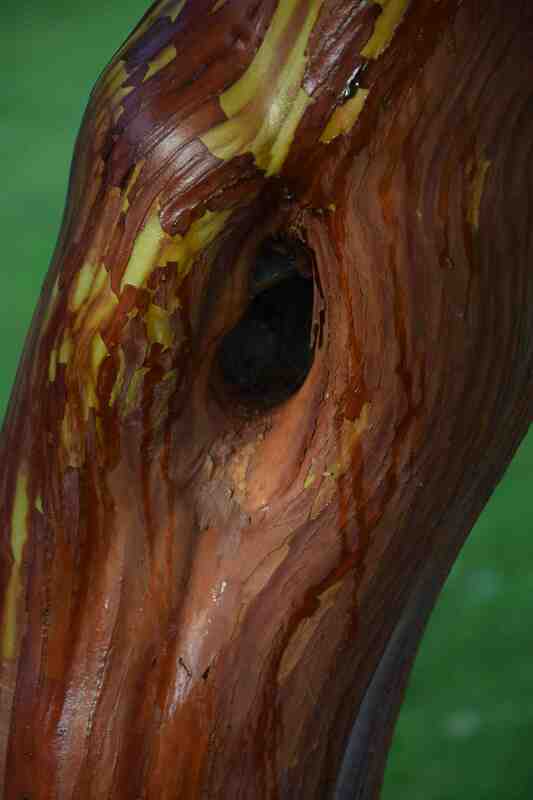 Having rained just minutes before the sun came out, the bark shone in the light. 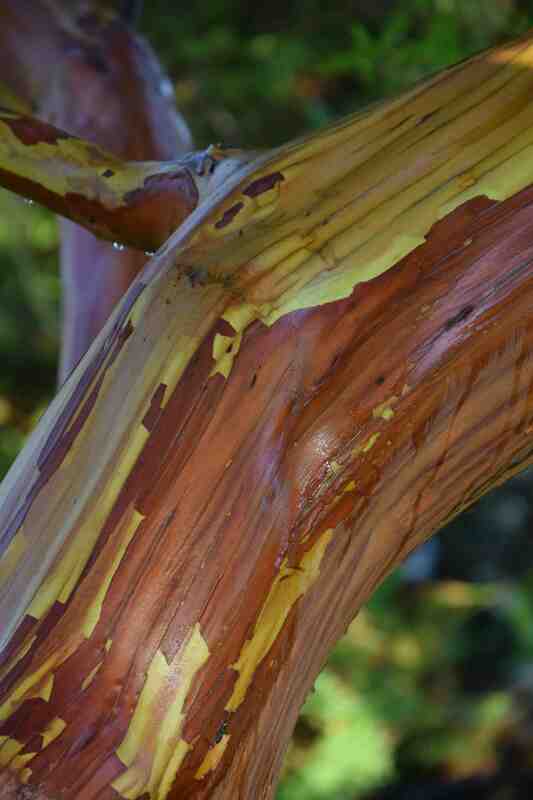 Beautiful, we have a “rainbow” Eucaliptus tree here but native to Australia. Only 3 years late but a blink in plant terms! Clearing a corner of my Nursery I found 5 x andrachnoides in 20lt pots.Not watered or maintained but growing strongly.What a constitution!